JEFFERSON CITY, Mo. 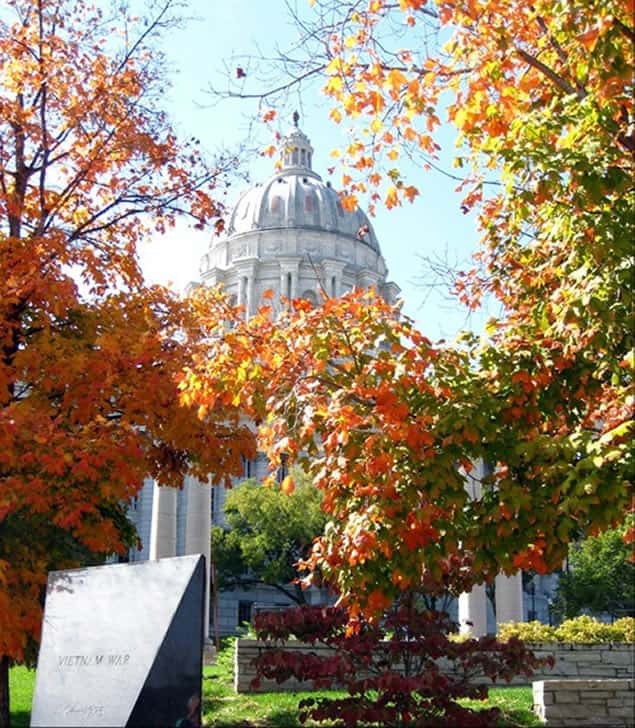 (AP) — Missouri lawmakers will consider whether to collect sales taxes on online purchases, allow sports gambling and overhaul legislative redistricting when they return for the start of the 2019 session. Actions by the U.S. Supreme Court and Missouri voters last year are dictating top issues for the Republican-led Legislature during the roughly five-month annual session, which starts Wednesday. Those include a high court ruling allowing states to require out-of-state retailers to collect what could be millions of dollars of new tax revenue from online sales to Missouri residents. “We all agree we want online retailers in parity with Missouri retailers, (the) brick and mortar stores,” Acting House Speaker Elijah Haahr said. That also has the backing of Republican Gov. Mike Parson and other lawmakers, but there’s no consensus on what to do with the new revenue. Haahr said many lawmakers want to return any online sales tax revenue to Missourians through a tax cut, but he said that’s challenging because at this point it’s unclear how much money the taxes would bring to the state. Lawmakers also will have the option to legalize sports betting following another court ruling last year that paved the way for it in all 50 states. Several lawmakers have filed bills that would allow and regulate sports betting, but there’s disagreement between casinos and sports leagues, which want a cut of the profits. Sports leagues last year told lawmakers that they’d use the money to ensure players and teams don’t throw or manipulate games. But Missouri Gaming Association Executive Director Mike Winter blasted the so-called “integrity fees” as unwarranted. “The leagues and those who are supporting the integrity fee should already be doing those functions,” he said. Haahr said he’s fairly pessimistic on a sports wagering bill advancing until casinos and sports leagues reach an agreement. Lawmakers also plan to discuss a voter-approved constitutional amendment that limited lobbyist gifts to lawmakers, subjected lawmakers to the state open-records law and changed the process for redrawing legislative districts after the 2020 census. An Associated Press analysis found the new formula for drawing maps would likely increase Democrats’ chances of winning elections and cut into Republicans’ supermajorities in the state House and Senate. The changes have drawn the ire of Parson and other top Republicans, who want to ask voters to change redistricting yet again. “I certainly believe that what is on the docket, should nothing change, is the most egregious license to gerrymander our districts that anybody could have,” Senate Majority Leader Caleb Rowden said. Other issues that likely will crop up include capping or otherwise overhauling tax credits that subsidize low-income housing development, expanding access to charter schools and other nontraditional schooling, and boosting workforce development. Parson and GOP legislative leaders have also cited work on transportation and infrastructure as a top priority, although resources to address those issues are limited after voters in November turned down a proposed gas-tax increase that would have gone toward repairs and maintenance for roads and bridges. Sen. Dave Schatz, Republicans’ pick to be the next Senate president pro tem, cited fees or public-private partnerships as one possible way to pay for repairs. Haahr said new revenue from online sales taxes or other sources could be earmarked.